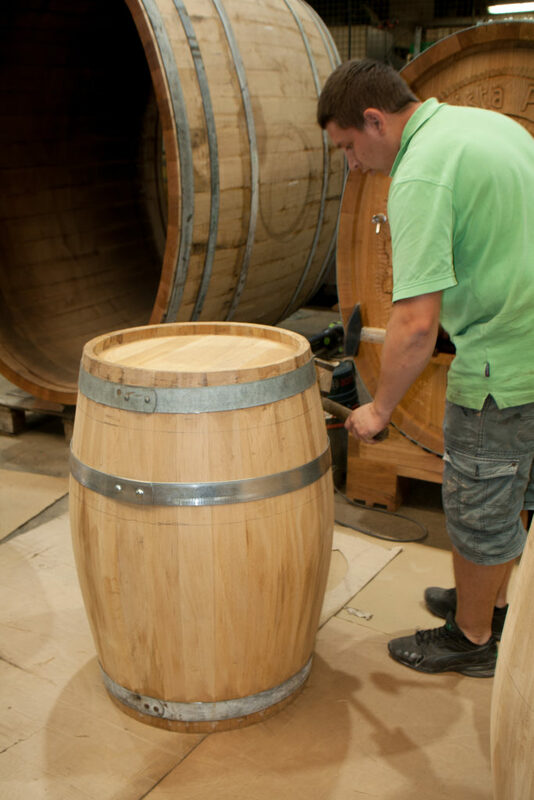 The refinement of products in wooden barrels has always been a high art. 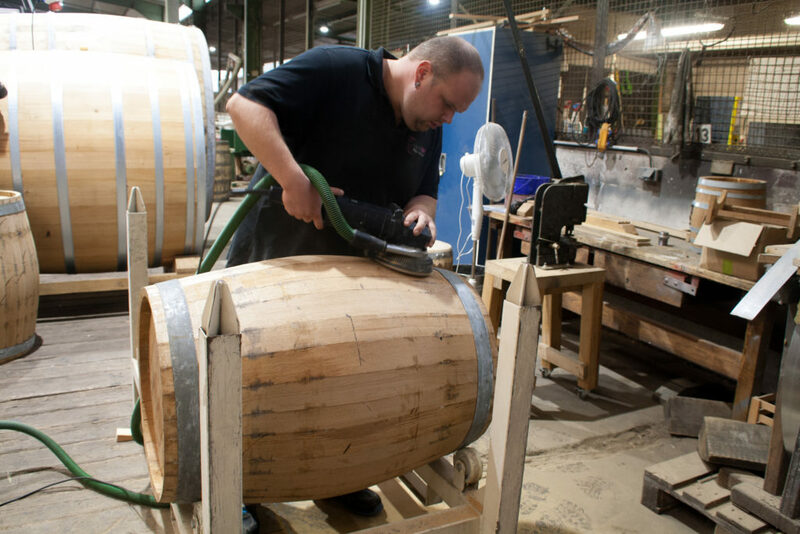 This is especially true for fruit brandies, because not every fruit is suitable for maturing in the barrel. However, some varieties are real treasures in wood. 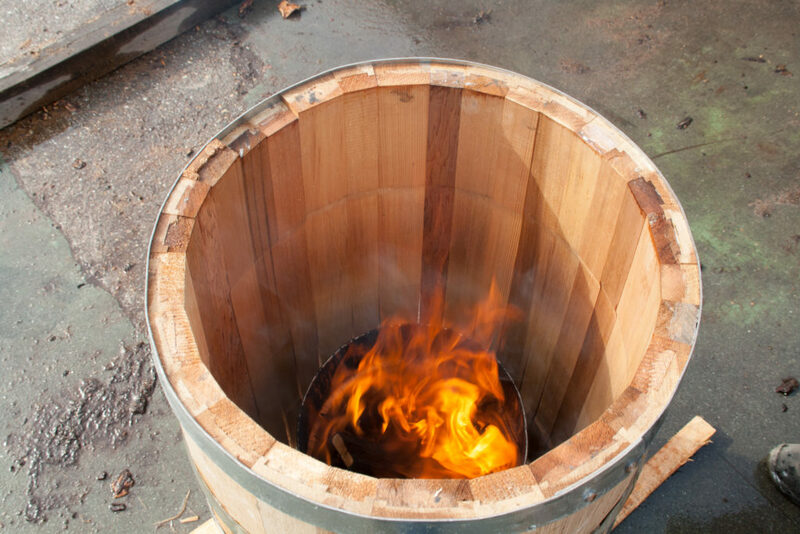 By storing in the 350 liter large and thus particularly breathable barrels creates an aromatic, but at the same time incredibly mild fire with a beautiful color. In addition to the selected wood species, toasting is the key to the later flavors of the distillate. But before a barrel can be toasted from a tree, it has to grow for many years. As a rule, the trees are over 200 years old, which are further processed at the coopers. They should be as even and straight as possible and have few branches. When the coop arrives, the tree trunk is examined, then quartered and sawn into individual staves. 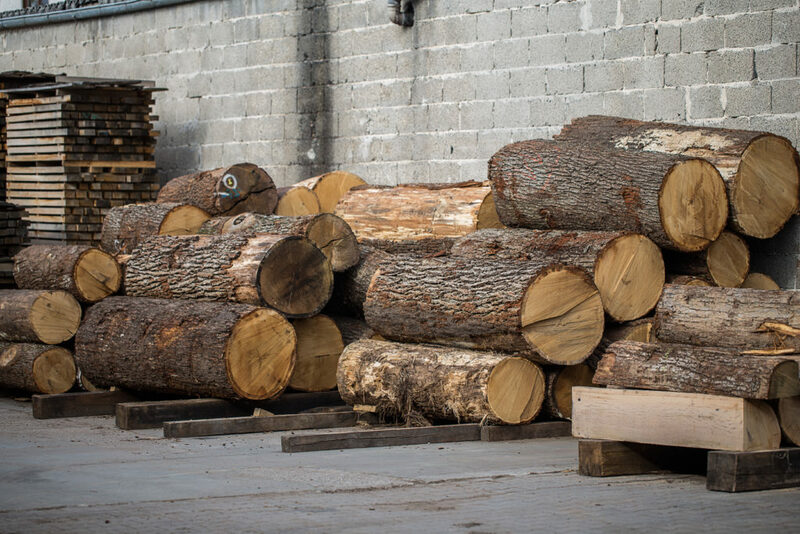 These are deposited in the air for 2-3 years, so that the wood does not dry too fast and breaks if necessary. Depending on weather conditions, therefore, sometimes also umgeschichtet and relocated. 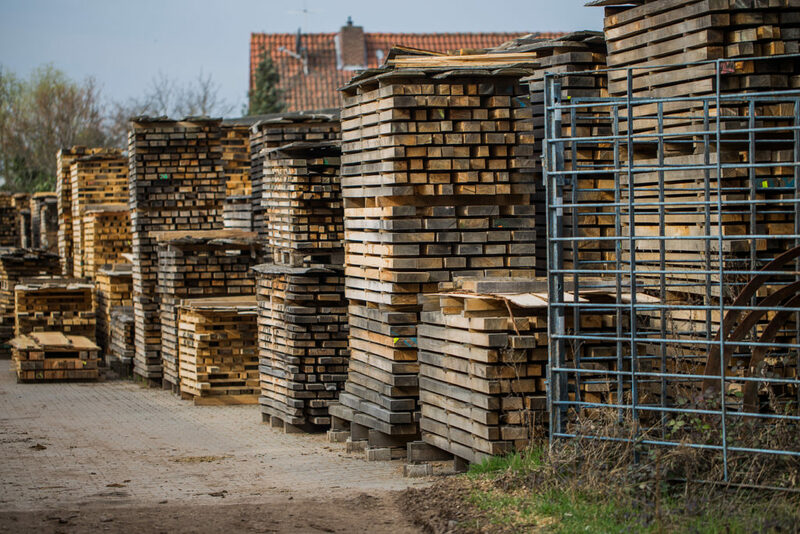 If the wood meets the requirements for barrel production, the barrel can be made from the individual staves. However, it is only with toasting that the formative aromas come into play. Not only are different processes used for this, but also the duration and the temperature play a decisive role in the final result. Many years of experience and the know-how of the coopper are needed to ensure that the barrel produces the right aromas, such as vanilla. A pre-assignment of the barrels as you know it in wine, whiskey, etc. 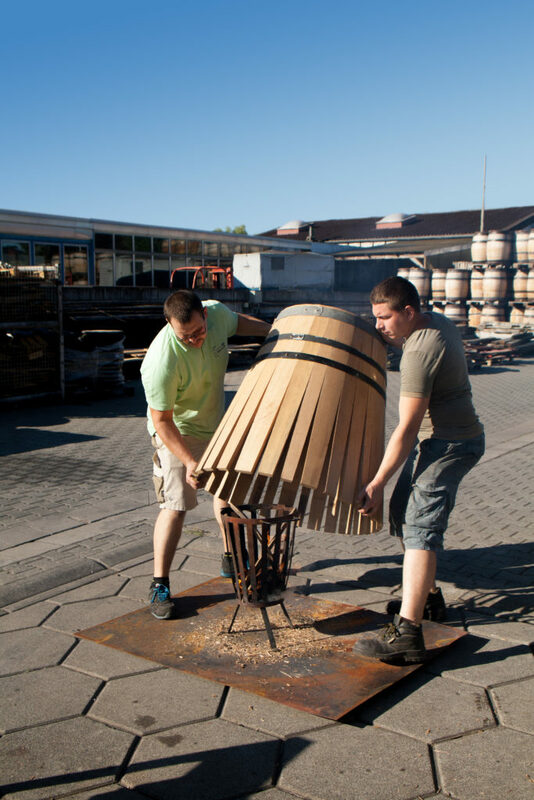 plays in the distillery Scheibel and especially in the fruit fires hardly a role, it is almost exclusively new barrels of the cooperage Wilhelm Eder from Bad Dürkheim used. "Fruit brandies are particularly sensitive and only a few are suitable for maturing in barrels. It took years to find the right constellation of wood, toasting and fruit brandy, so that the fruit is still a key player in the distillate," said Michael Scheibel, owner the distillery.